We have 3 TADHack winners joining us at TADSummit. As discussed in the TAD Manifesto telecom application developers are a critical part of the TAD Ecosystem. Their attendance balances the discussions across the conference. Work stream 3 is dedicated to showcasing their talent. We have developers in attendance from around the world including arx.net and Tawasol IT, with of course great attendance from the local Turkish telecom application developer community including Garanti Teknoloji and Defne. Marte Soliza from Team Anyare (pronounced as an-ya-re), the winners of TADHack Philippines. You can see more on TADHack Philippines in this weblog, and more details on their winning hack in this weblog. Marte is the CTO of Insync and a veteran of hackathons and code jams, having won various awards over the years. The idea for this app came when Marte and Beato discussed the real world communication problems in third world countries. In the Philippines, finding a stable internet connection in rural areas is a small miracle. Cellphone signal, however, is usually no problem even when in far-flung areas. They thought about the people who need to travel all over the Philippines as part of their jobs. Some are tour guides, wildlife preservation teams, rescue teams, park rangers, field scientists, on-site inspectors, and even corporate teams who need to keep a constant line of communication. How do they make their lives less difficult using GlobeLabs API? 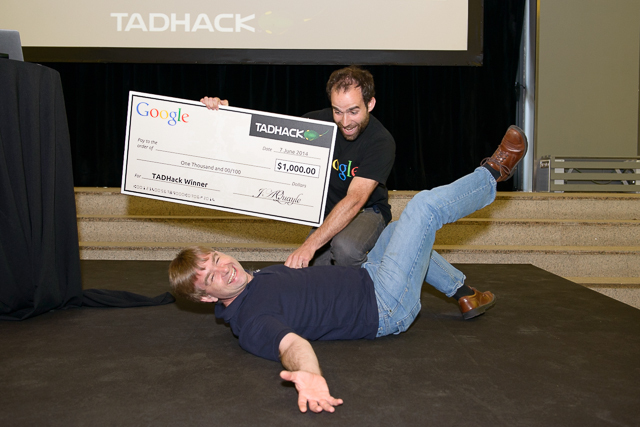 The winner of one of the Google klonopin online TADHack Prizes was RTCEmergency by ipcortex. Rob Pickering the CEO of ipcortex will be joining us. The idea for RTCEmergency started the Friday before TADHack. ipcortec are a UK based RTC application development company and have been working with WebRTC, which was the core of thier hack, for two and a half years now. For TADHack, they were looking for an interesting application which demonstrated the value of combining the strengths of the traditional telephone infrastructure with imaginative features implemented using over the top service enablers like WebRTC. RTCEmergency is a proof of concept that allows a normal call to the emergency services operator to be “upgraded” by adding over the top video and the ability to transmit GPS location data to the operator. Further, it allows a responder en-route to the emergency to be part of the conversation and interact with those on scene so that triage and first aid advice can commence from the moment that a responder is tasked. TADSummit is bringing together all the leading telcos, technology vendors, and telecom application developers focused on service innovation.